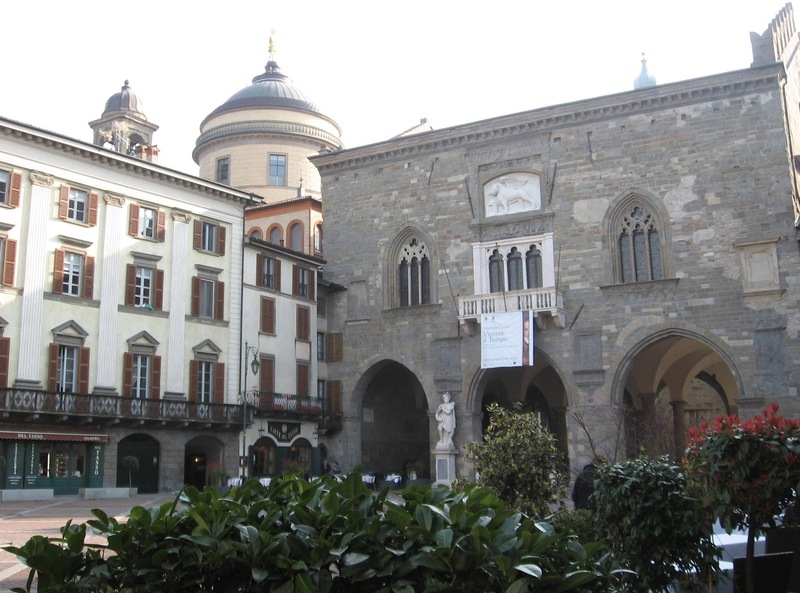 Bergamo offers visitors a feast of medieval history but for those interested in experiencing history of a more recent variety, a trip to the industrial village of Crespi d’Adda, which can be found about 20km (12.5 miles) southwest of the city, is something to consider. 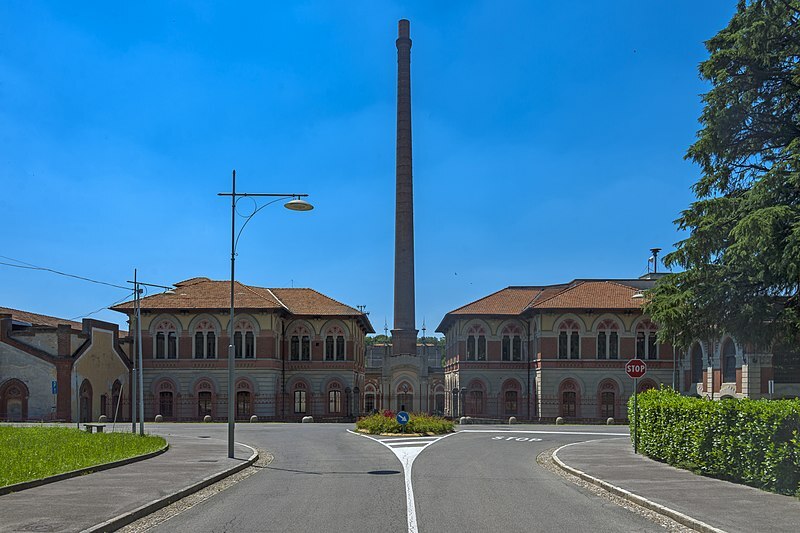 Crespi d’Adda is one of the best preserved company villages - that is, a community built exclusively for the employees of a single business - in the whole of Europe. It has been a UNESCO World Heritage site since 1995. The village was the brainchild of Cristoforo Benigno Crespi, an industrialist from the town of Busto Arsizio, a textile centre on the road from Milan to Lake Maggiore. He was born 185 years ago today, on October 18, 1833. In 1869, Crespi bought some land near the town of Capriate San Gervasio close to the convergence of the Adda and Brembo rivers on a low-lying plain that forms a peninsula known as the Isola Bergamasca or Bergamasque Island. He identified it as the ideal place to build a large cotton mill. Crespi was a capitalist entrepreneur but also a firm believer in the idea that a happy workforce is a productive workforce and he decided that his factory would be at the heart of its own mini-town, with every facility their workers might need right on their doorsteps. 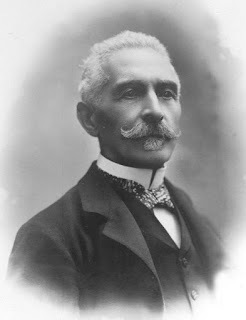 Therefore, after digging a canal to provide hydraulic power, he commissioned the renowned architect Angelo Colla to build not only a factory but houses, a school, a hospital, a wash house, a church, shops for groceries and clothes, a theatre and a social club. A public swimming pool was added later. He and his son Antonio equipped the school with pens, pencils, exercise books and every other resource needed to educate their workers’ children and paid the salaries of the teachers. The houses were more English-looking than Italian style, arranging in neat rows, surrounded by gardens with vegetable plots. The streets were the first in Italy to be lit by public-funded electricity. The church was a replica of the church of Santa Maria di Busto Arsizio, in the Crespi’s home town. 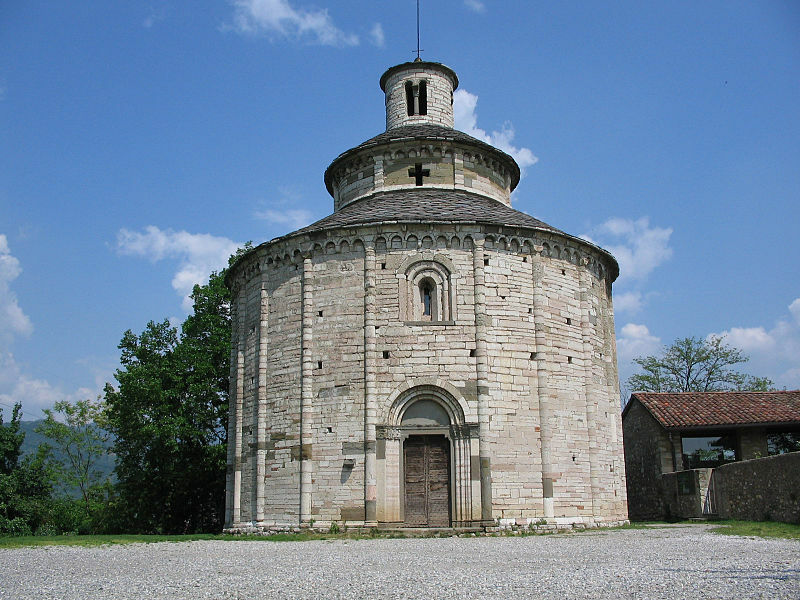 In the cemetery attached, Cristoforo built a pyramid-shaped family mausoleum. The Crespi family themselves, in keeping with their role of lords of the manor, lived in some style in a huge castle-like villa on the edge of the village. 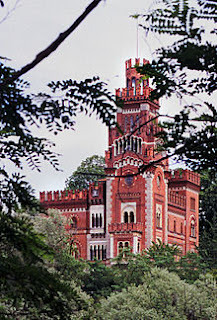 Other directors of the company were also provided with villas, albeit on a lesser scale. 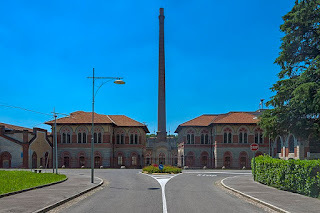 Under their benevolent governance, however, the factory - itself a work of art, built in neo-medieval style with an imposing entrance and chimneys that resembled obelisks - managed to avoid the strikes and unrest that affected other parts of Italy’s industrial world. Nowadays, although the factory remains, only a small part of it is used. The Crespis sold it in 1929 after the Great Depression hit them hard and though it continued as a textile factory until the beginning of the current century, production on a significant scale ceased in 2004. 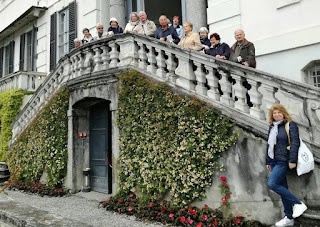 Other aspects of Crespi d’Adda remain intact, however, and many of the current residents are descended from Cristoforo Crespi’s original employees. Access to the village is limited. No traffic is allowed into the village during the afternoon in summer and there is no bus service. Tourist coaches are not allowed beyond a certain point. However, Crespi d’Adda is very close to the towns of Capriate San Gervasio and Trezzo sull’Adda and is easily accessible on foot. The walk takes no more than 15 to 20 minutes and there is a footpath along the river Adda. 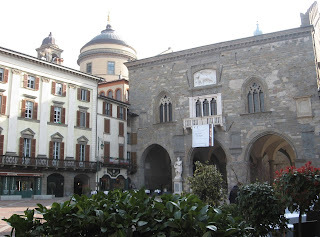 There are regular buses to Capriate and Trezzo sull'Adda from Bergamo. They are operated by the Locatelli Group and depart from the main bus station (across from the railway station). Most of the services are prefixed with the letter ‘V’ and the journey takes just over an hour. More information and departure times can be found here. Virtuoso violinist and Baroque composer Pietro Antonio Locatelli was born in Bergamo on this day in 1695. 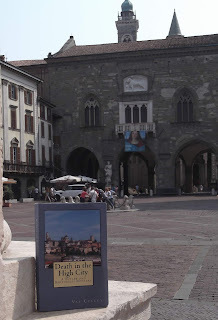 He showed an astonishing talent for playing the violin while he was still a young boy and began playing with the orchestra at the Basilica di Santa Maria Maggiore in the Città Alta when he was 14. 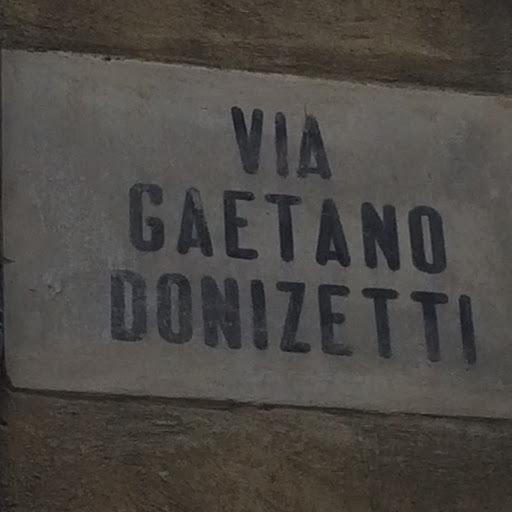 Pietro Locatelli is remembered in his native city of Bergamo by an area named after him in Longuelo, a suburb of the city. In 1711, when he was 16 years old, Locatelli left to go to Rome and although it is not known whether he was able to study with Arcangelo Corelli before the composer’s death in 1713, he will have absorbed a lot of his influence by studying with the other eminent musicians in the city. In 1714 Locatelli wrote to his father that he was a member of the band of household musicians working for Prince Michelangelo I Caetani, a notable political figure and scholar. 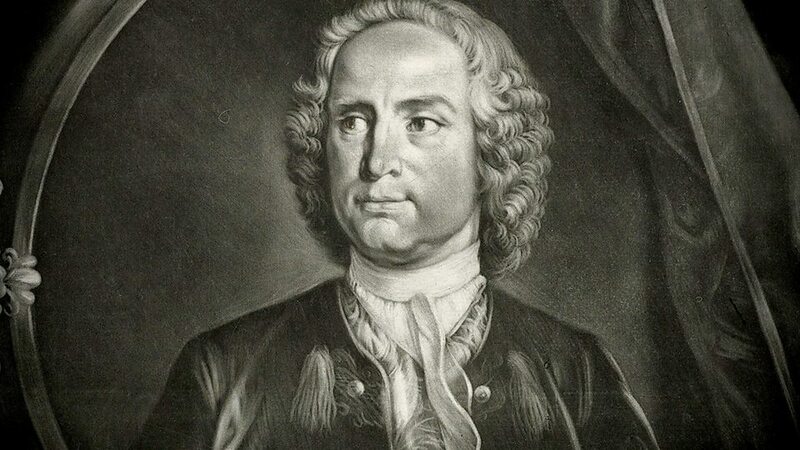 While he was in Rome he made his debut as a composer, producing his XII Concerto Grossi Op I in 1721. After 1725 his name crops up in Mantua, Venice, Munich, Berlin and Frankfurt and in every city he received rapturous acclaim for his violin performances. Many of his violin concertos were written at this time. The composer is perhaps best remembered for his L’Arte del violino, a group of 12 violin concerti for a solo violin. The musician moved to live in Amsterdam in 1729, where he gave music lessons, performed privately and had his own music published professionally. Locatelli died in 1764 in his house on the Prinsengracht in the city. 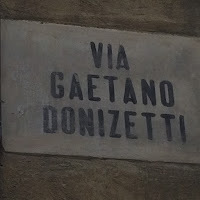 A plaque next to the entrance door commemorates his stay there and refers to his birthplace, Bergamo. 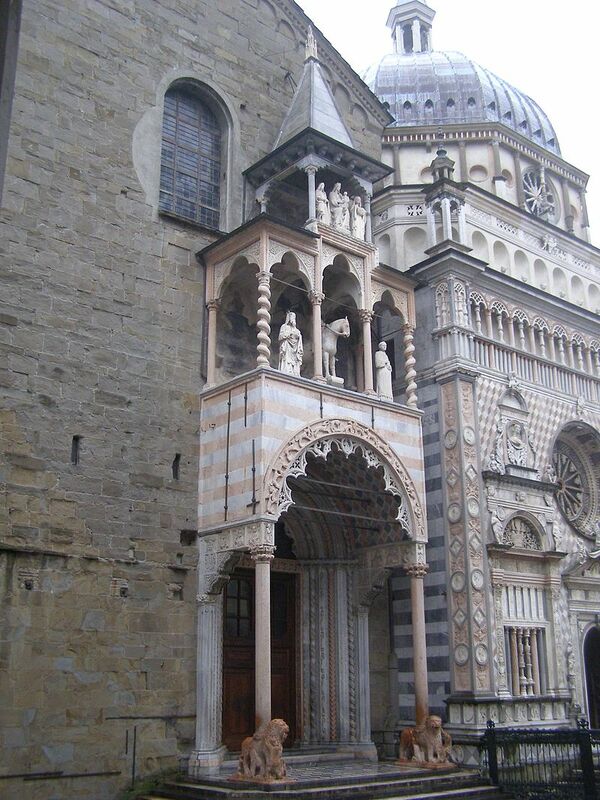 The Basilica of Santa Maria Maggiore, where Locatelli played as a teenager, is in Piazza Duomo in the Città Alta. The basilica, which dates back to the 12th century, is considered to be one of the finest buildings in Lombardy and has a beautiful interior, with a richly decorated cupola and fine Flemish and Florentine tapestries and works of art. 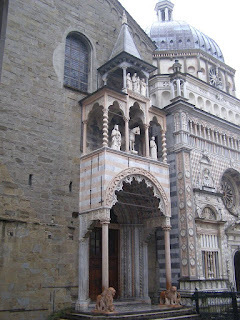 At the back of the church is an elaborate white marble monument designed by Vincenzo Vela, marking the tomb of the 18th century opera composer Gaetano Donizetti, who was born and also died in Bergamo. 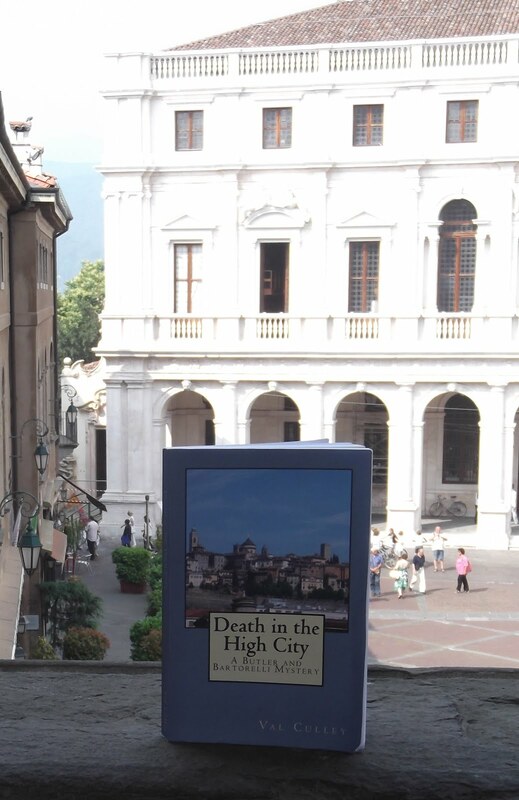 There’s so much to see and be fascinated by in Bergamo’s Città Alta that even regular visitors can find they miss things as they look round. It is a good idea to engage the services of a professional tour guide who can help you make sense of the joyous juxtaposition of medieval and Renaissance architecture in the upper town that can sometimes be too dazzling to take in. 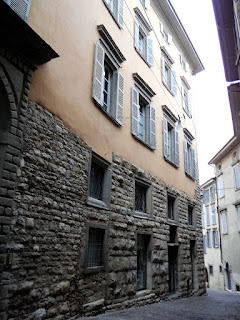 A guide who has lived in the Città Alta and knows every alleyway and stone can also give you the inside story on events and famous people that only a local would know. Tour guide Elisabetta Campanini, who manages Across Bergamo, provides a bespoke service for visitors who want to really get to know the Città Alta. She provides tours for both groups and individuals that can be customised to meet specific requirements on themes such as art, history, music and much more. Elisabetta was born in the Città Alta and lived there for 30 years before moving down the hill to the Città Bassa below. Every single street and fountain and many of the current inhabitants are familiar to her and she will soon make you feel as though you belong there yourself. She can tell anecdotes, both humorous and poignant, about the history of this beautiful city and reveal the secrets that lie beneath the ancient stones with which it was built. Elisabetta is an accredited and experienced tour guide and an accomplished linguist who can lead guided tours in Italian, English, German and French. For Spanish, Russian and Japanese visitors, Elisabetta uses the services of mother tongue speakers who act as translators for her. 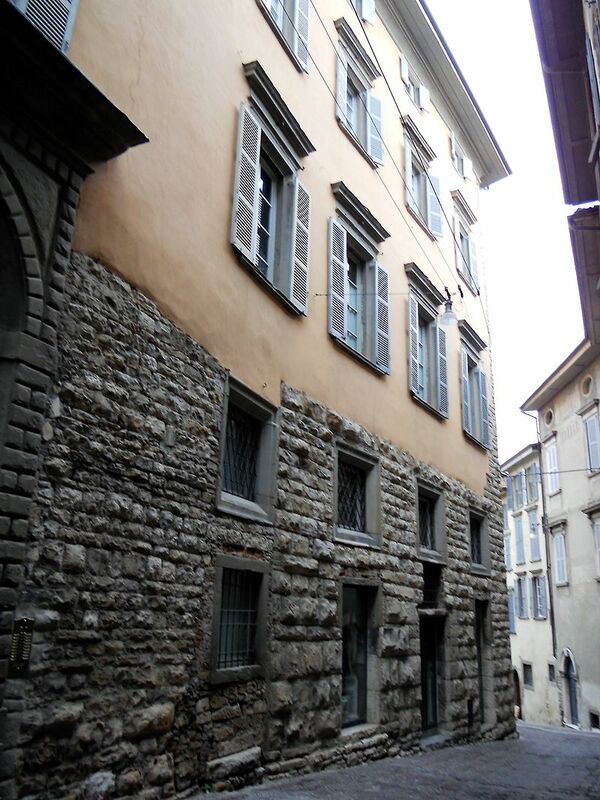 If you want to find out the secrets of Bergamo’s captivating Città Alta, contact Elisabetta to arrange a guided tour by visiting www.acrossbergamo.com. Climber and war hero Riccardo Cassin, who lived for most of his life in Lecco, was born on this day in 1909. Despite his daring mountain ascents and his brave conduct against the Germans during World War II, he was to live past the age of 100. 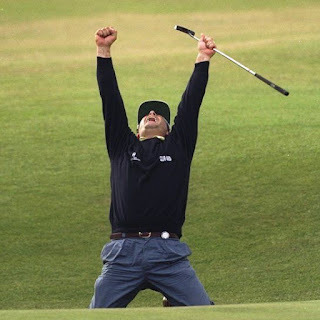 By the age of four, Cassin had lost his father, who was killed in a mining accident in Canada. He left school when he was 12 to work for a blacksmith, but moved to Lecco when he was 17 to work at a steel plant. Cassin was to become fascinated by the mountains that tower over Lago di Lecco and Lago di Como and started climbing with a group known as the Spiders of Lecco, Ragni di Lecco. 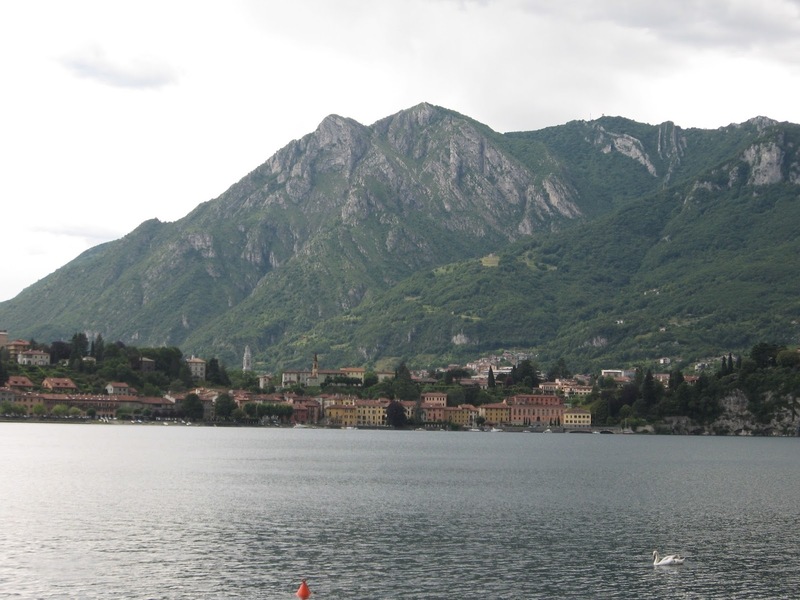 Lago di Lecco is the south eastern branch of Lago di Como. The Bergamo Alps rise to the north and east of the lake. In 1934 he made his first ascent of the smallest of the Tre Cime di Lavaredo. The following year, after repeating another climber’s route on the north west face of the Civetta, he climbed the south eastern ridge of the Trieste Tower and established a new route on the north face of Cima Ovest di Lavaredo. In 1937 Cassin made his first climb on the granite of the Western Alps . Over the course of three days he made the first ascent of the north east face of Piz Badile in the Val Bregaglia in Switzerland. Two of the climbers accompanying him died of exhaustion and exposure on the descent. This is known today as the Cassin Route, or Via Cassin, and he confirmed his mountaineering prowess by climbing the route again at the age of 78. His most celebrated first ascent was the Walker Spur on the north face of the Grandes Jorasses in the Mont Blanc massif in 1938, which was universally acknowledged as the toughest Alpine challenge. Even though Cassin knew little about the area before going there he reached the summit and made a successful descent during a violent storm. Cassin made a total of 2,500 ascents, of which more than 100 were first ascents. During World War II, Cassin fought on the side of the Italian partisans against the Germans. In 1945, along with another partisan, he attempted to stop a group of Germans escaping along an alpine pass into Germany. His comrade was shot dead by them but Cassin survived and was later decorated for his heroic actions. Cassin was supposed to have been part of the Italian expedition that made the first ascent of K2 in the Karakoram, having sketched the route and done all the organisation. But the expedition leader left him out after sending Cassin for a medical examination in Rome, where he was told he had cardiac problems. Cassin believed the expedition leader had felt threatened by his experience and from then on he organised and led expeditions himself, such as the first ascent of Gasherbrum IV in the Karakorum range and an ascent of Jirishanca in the Andes. In 1961 he led a successful ascent of Mount McKinley in Alaska. The ridge was later named Cassin Ridge in his honour and he received a telegram of congratulations from President Kennedy. Cassin began designing and producing mountaineering equipment in the 1940s and formed a limited company in 1967. In 1997 the CAMP company bought the Cassin trademark from him. Cassin wrote two books about climbing and received two honours from the Italian Republic. 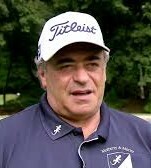 He became Grand’Ufficiale dell Ordine al merito in 1980 and Cavaliere di Gran Croce Ordine al merito in 1999. 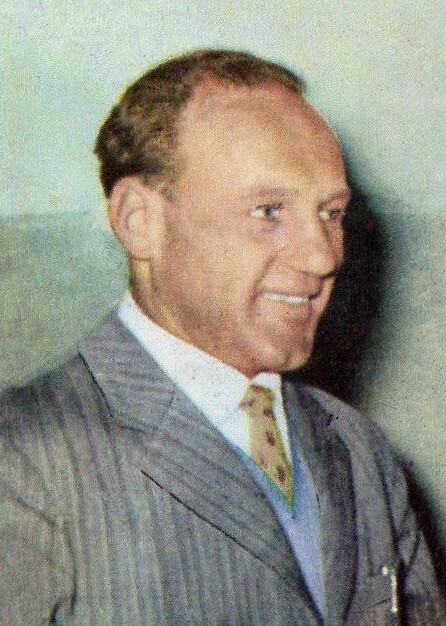 The book, Riccardo Cassin: Cento volti di un grande alpinista, was produced for his 100th birthday, containing 100 testimonials from people who had been associated with him, including President Kennedy. Cassin died in August 2009, more than seven months after celebrating his 100th birthday, at his home in Piano dei Resinelli, Lecco.